We cannot praise the service we have received from all of the staff at Chavetejo, from the very start they were professional, courteous and very attentive to all our needs. We have never purchased a property overseas before and were very nervous after having read all of the horror stories and watched the TV shows of how people have fallen foul of bad advice and failing to do their homework. Claudia, Ramona and Edgar put our minds at rest from the outset and guided us through the buying process, even providing us with help and translation assistance with Government officials and Utilities etc. English estate agents could learn a lot from this company. 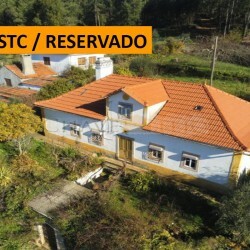 If anyone were to ask us to recommend a Portuguese Property Agent, it would have to be Chavetejo. 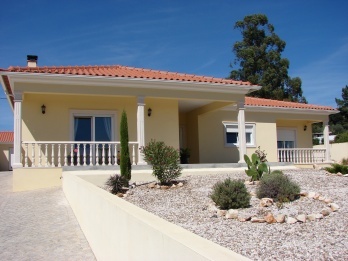 We did speak to other agents in our search for our dream home in Portugal but Chavetejo had both the vendors best interests in mind and also ours, which is a difficult thing to achieve. They did this by being honest, professional and friendly but above all, they made us feel we were in safe hands from the very first contact we made with them. Thank you Chavetejo, we are now living our dream helped by your great service.